"The Burgas Affair is a very readable novel; Shuman is clearly a talented writer and engages the reader early on, conveying the horror and mystery surrounding the bombing. He weaves a complex story all the while exerting complete control over it. Boyko’s past and the investigation dance around each other until they collide in an explosive finale. There is crime, thrills, a hint of romance and corruption to keep the reader enthralled. "If you enjoy a story with lots going on then you’ll like this one. The action is relentless, spilling across Bulgaria and Israel to great effect." 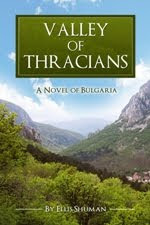 When Alexandra Boyd arrives in Sofia to start her position as an English teacher, she doesn’t know what to expect of Bulgaria. 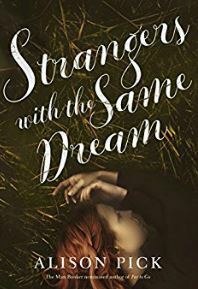 The Eastern European country is as far away as she can possibly go from her home in the Appalachian Mountains, and from the tragic loss of her beloved brother. Upon her arrival in the city, Alexandra is dropped off by mistake at a hotel where she goodheartedly helps an elderly couple into a taxi. When the vehicle drives off, Alexandra realizes that she has accidentally taken one of their bags. Inside the bag is a small wooden box containing an urn with human ashes. Realizing that this box is undoubtedly sorely missed, Alexandra sets out to return it to the couple to whom it belongs. If only she can find them. 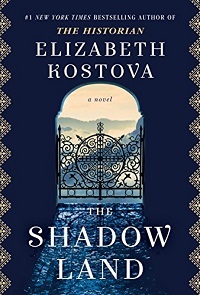 Like Alexandra, most readers of The Shadow Land by Elizabeth Kostova (Ballantine Books, April 2017) will be visiting Bulgaria for the first time. The customs, the villages, the culture, and the history come to life in a country that surprises at every turn. Readers, book bloggers, and reviewers around the world are thrilled to be reading my crime thriller, The Burgas Affair. Here is what they are saying, in their own words. Have you gotten your copy yet? "A real page turner from start to finish and one I would definitely recommend. Ideal for readers of crime, thriller with good amount of action, adventure. " "I recommend this to anyone looking for a fast paced, action packed, detailed description of a plot based on true events. You will not be disappointed!" Don’t Read It until I Finish Writing It! I had just finished writing the first section of the first draft of my first novel and I was eager to have my wife read it. Who was better qualified than my wife to serve as my alpha reader? My previous attempts at writing a novel had been overly autobiographical, my wife had stated in the past. In my new manuscript, I believed, I had created a totally fictional world, in a unique setting, and with three-dimensional characters dealing with unusual circumstances. My wife would be the best judge of this, I thought, as I waited for her reaction. “I can’t read it on the computer,” she said. This book begins with a lie. They said she killed herself, that hers was “the first suicide.” She has a story to tell and we, the readers, are “the chosen people” who will hear this story. This is the enigmatic opening of Strangers with the Same Dream by Alison Pick (Knopf Canada, August 2017), a novel set in Palestine in the 1920s. A group of halutzim—pioneers—have come to claim the land not out of religious destiny, but as fulfillment of the Zionist dream. 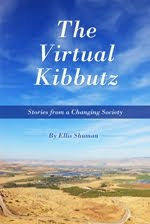 Haunted by secrets and tragedies, they are challenged with establishing a kibbutz in the barren north of what will become, a generation later, the Jewish state.